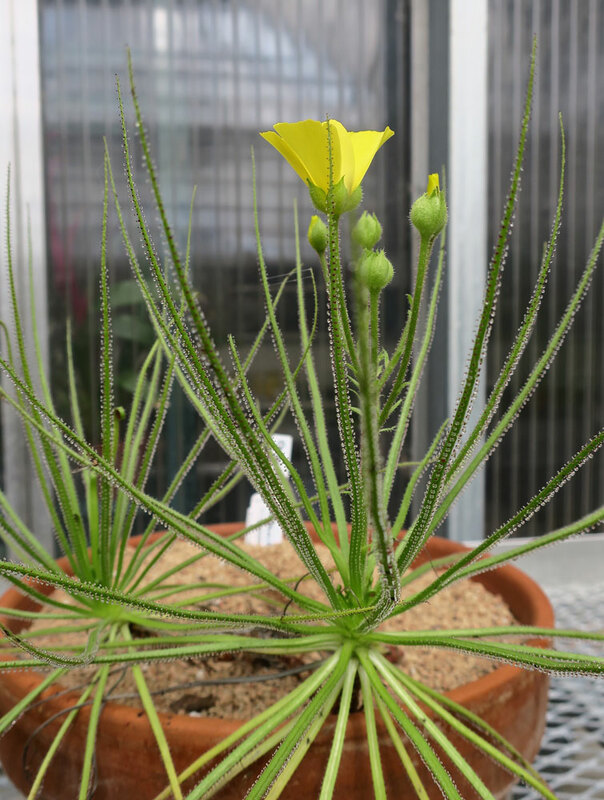 In part two of this series, we talked about carnivorous plants that use passive traps to catch insects and other small prey. Next, we cover the third and final trapping mechanism used by predatory plants — adhesive traps. These traps can be divided further into the following categories: flypaper, fixed tentacles and mobile tentacles. Carnivorous plants with flypaper traps ensnare their victims with a sticky mucus that also acts as an attractant. 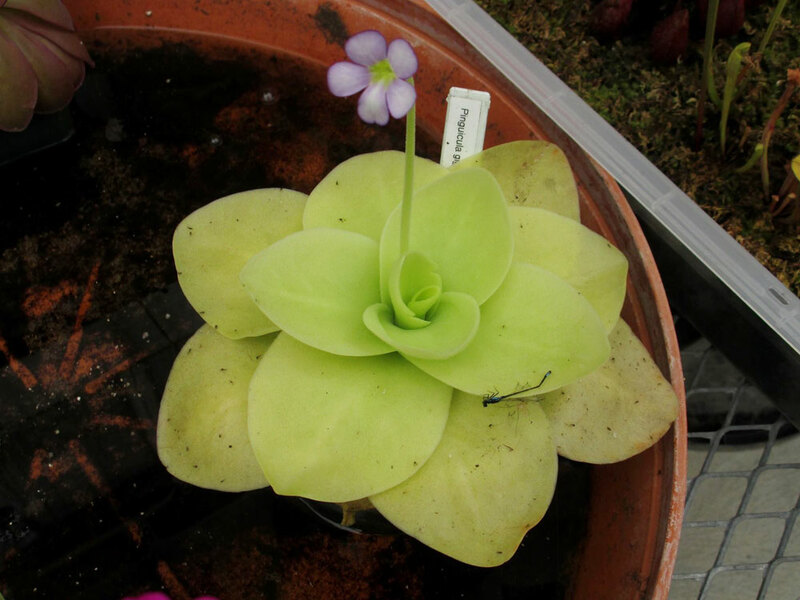 Butterworts (Pinguicula spp.) fall into this category. This genus currently contains over 80 species with new discoveries still being made in recent years. They can be found growing in native habitats throughout the northern hemisphere and southward into Central and South America. The richest species diversity can be found in Mexico. Butterworts catch smaller insects such as gnats and fruit flies. These insects are drawn in by the sweet scent of the sticky nectar produced by the plant on short stalks attached to the leaf surface. Once the insect lands, it is unable to free itself and is digested on the leaf surface by a mix of digestive enzymes and acids secreted by the plant, with only their exoskeleton remaining as evidence of their demise. These beautiful but deadly plants are beloved for their general ease of cultivation as well as their brightly colored flowers which range in color from white to yellow to scarlet red. A second form of adhesive trapping mechanisms can be found in Portuguese sundew (Drosophyllum lusitanicum) and rainbow plants (Byblis spp.). These plants use a technique similar to butterworts to capture their prey, but the sticky mucus they produce is held further out from the leaf surface on fixed tentacles. This allows the plants to capture prey that is a bit further from their leaves and also larger in size than those caught by butterworts. Portuguese sundew is unique from other carnivorous plants in that it is native to the relatively dry western Mediterranean regions of Spain, Portugal and Morocco. It can be a bit trickier to grow since it requires a faster draining soil media and more infrequent watering than its bog loving kin. The sticky mucus produced by this plant has a thicker, more resinous consistency than that of species found growing in boggy areas. This allows it to function better in the more arid conditions of its native habitats. Rainbow plants are native to Australia and New Guinea, with seven species currently known to exist. Some are annuals and others are perennials. All live up to their common name, giving off a rainbow effect from their glistening leaves when struck by rays of sunlight. Finally, the last example of adhesive traps can be found in sundews (Drosera spp. ), which have tentacles that move slowly to encompass their prey, smothering them in digestive enzyme-rich mucus. I love this quote from Peter D’Amato in his book, The Savage Garden: "If an insect ever evolved the brains to write a horror novel, the monster in that novel would probably be a sundew." Sundews can be found growing on every continent but Antarctica, with the richest species diversity occurring in Australia. 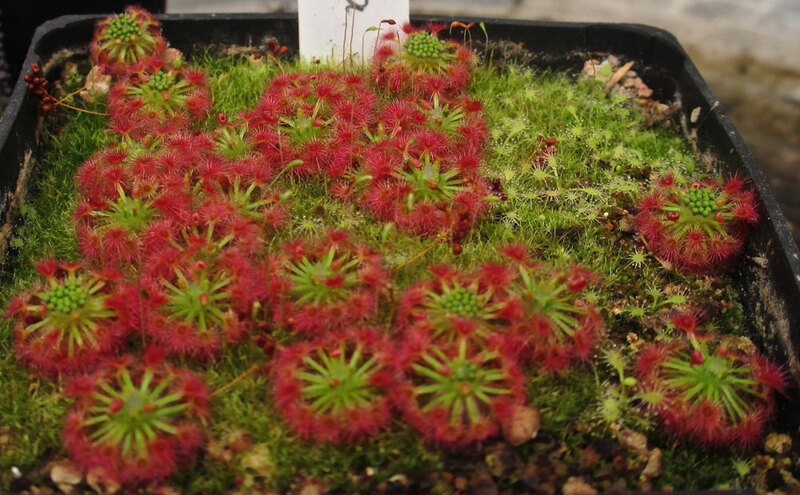 Over 125 species have been named in a wide range of forms, with many pygmy sundews staying the size of a small coin and other species like the South African king sundew (D. regia) growing to over 2 feet tall. If you are looking for a great carnivorous plant for beginners, the Cape sundew (D. capensis) will be your best bet. Simply plant it in a mix of half peat and half sand, place it in a shallow saucer of distilled water in a sunny windowsill, and watch it catch any fly or fruit fly that dares to come near it. This plant seeds easily, and we often have seedlings available at our spring plant sale each year. Butterworts and sundews can be found in the terrariums located at the east end of the Orangery. They can also be viewed during Free Days at the Gardens at the Carnivorous Plant Education table. Our Portuguese sundew lives in our aquatics greenhouse, where it has a steady supply of insects to keep it well fed. It can be viewed in some of our behind the scenes tours at the Gardens. For additional information about Carnivorous Plants, be sure to check out the International Carnivorous Plant Society’s website. 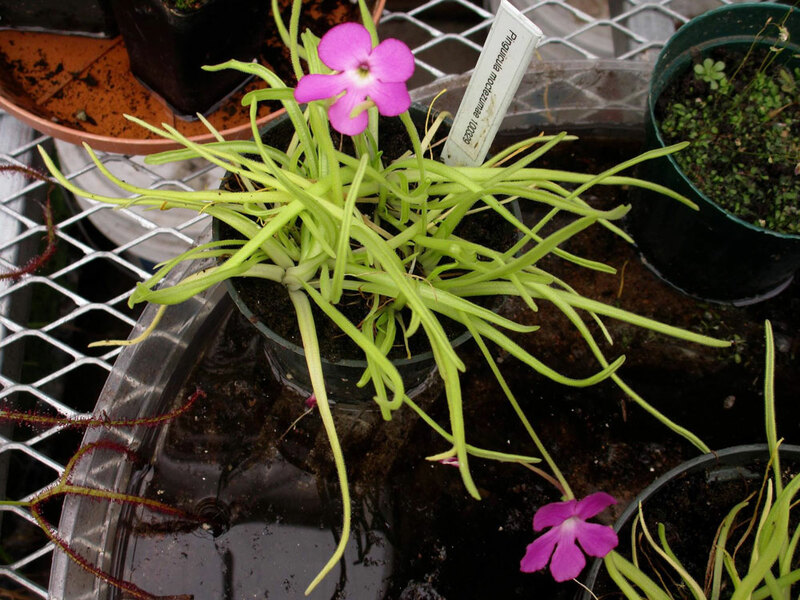 "The Savage Garden," by Peter D’Amato and "Growing Carnivorous Plants," by Barry A. Rice are both great books on the subject that offer more in-depth information about these amazing plants.